Thijs and Laurens found themselves being interviewed for AT5’s series “Straten van Amsterdam” in May 2015, a month after opening shop. Other guests of the broadcast include old Provo members Auke and Nico reminiscing about the basement’s glorious heyday. 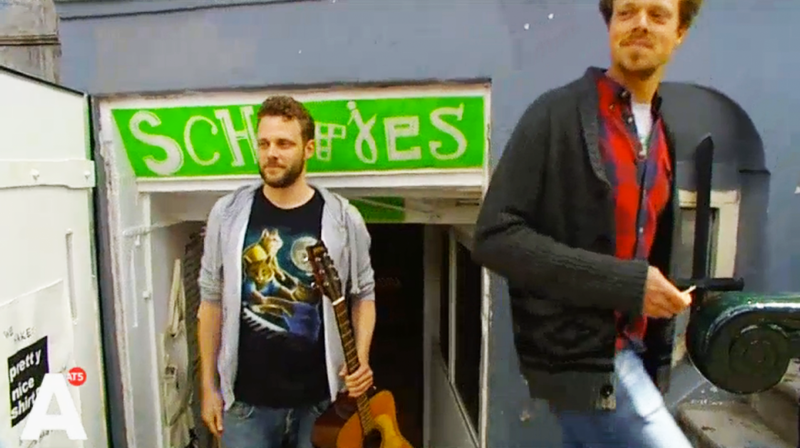 The first part of the Schatjes segment starts at 12″40′.